LG has officially announced the first ultra wide, 21:9, FreeSync capable gaming monitor for introduction in early 2015. Just like we exclusively told you two days ago. 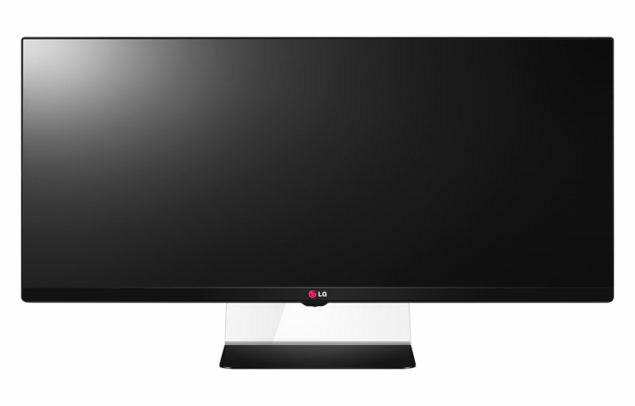 Two days ago we brought you exclusive news of LG working on several wide aspect ratio monitors with FreeSync support. And only two days prior to that we brought you news of the first ever FreeSync capable monitor to come to market. We keep hearing more and more exciting news about adaptive-sync compatible monitors as we move closer to the Commercial Electronics Show, CES for short, in Las Vegas. The particular model that LG will showcase at CES is the 34UM67 and it features a beautiful 21:9 ultra wide 34″ display. 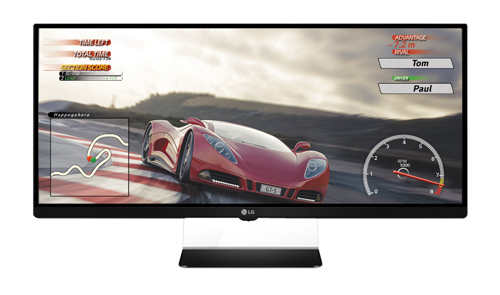 LG equipped this monitor with FreeSync support to tailor it specifically for gaming. Here’s the official statement from AMD’s Roy Taylor ,CVP and head of AMD’s ISV/IHV Partner Group, regarding this new gaming monitor from LG. AMD FreeSync technology is an innovative monitor technology, based on free and open industry standards, to eliminate the tearing and stuttering that has plagued PC gaming for 30 years,” said Roy Taylor, corporate vice president of ISV/IHV Partner Group, AMD. “We are pleased that LG Electronics stands with us with truly exciting AMD FreeSync-ready displays like the LG UltraWide Gaming Monitor. Thanks to that IPS panel we’re looking at a display that’s capable of extremely accurate color reproduction and phenomenal viewing angles without color distortion from any viewing angle. According to LG there are sveral multi-display settings and options to allow the user to intelligently use the real-estate of the monitor as productively and efficiently as possible. This seems like the perfect gaming and entertainment monitor. The wider aspect ratio allows for larger field of view aspects in games and a better movie watching experience. Which helps to immerse you even more into the action of a game or a movie. The additional real-estate will prove very valuable to professionals as well. And thanks to the fantastic color reproduction of the high quality IPS panel the monitor is suited for professional color and video editing work. There’s still no word on pricing or the exact time of availability. However we expect to see units begin shipping a month or two after CES. As always, stay tuned so we can keep you updated.